If your family is anything like mine, then they LOVE Star Wars! "Star Wars Rebels" can be found on Netflix and what I love about the show is that it showcases what happens between the movies and so much more. I received the 4th season complimentary and you can snag a copy too on July 31st! 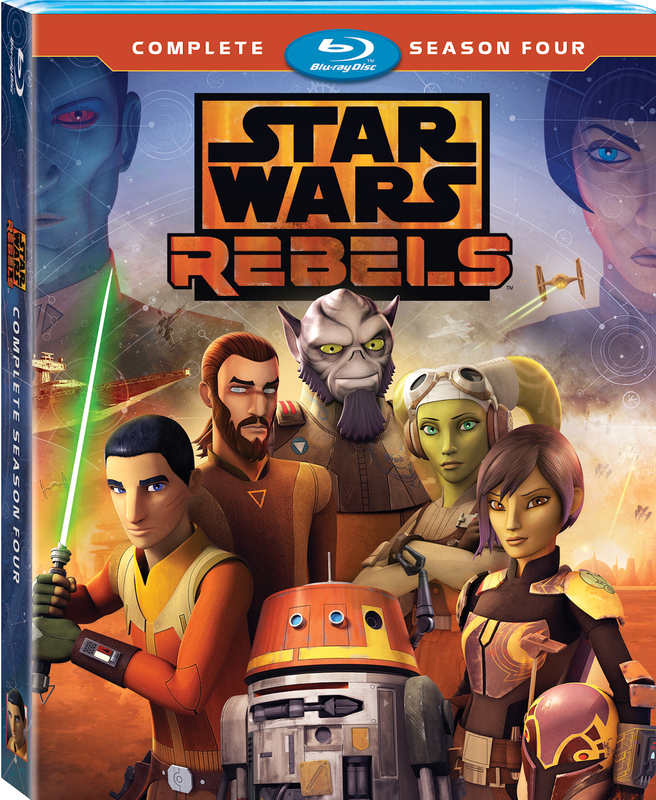 The fourth season of “Star Wars Rebels” delivers all 15 action-packed episodes plus exclusive, never-before-seen bonus extras on the Blu-ray and episode recaps on the DVD. The series, which won last year’s Saturn Award for Best Animated TV Series, draws to an epic conclusion in a dramatic final conflict, drawing connections to the entire Star Wars saga. Star Wars Rebels: The Complete Fourth Season arrives on Blu-ray and DVD July 31st. - Rebels Recon Go behind the scenes with the cast and crew in 8 entertaining and information-packed episode recaps! I don’t know why or where I have been to not know about this animated series! I mean, it won last year’s Saturn Award for Best Animated TV Series and it’s about the Star Wars Saga. WOW! I have to ask my grandkids if they heard or know of this. Thank you for sharing! !